Thanks to Winter Storm Pax my camera I ordered over a week ago didn't arrive until last night. I was so excited to use it that I snapped a few pics of my outfit this morning before heading to school. I'm loving this warmer weather as it lets me utilize 70% of my closet. 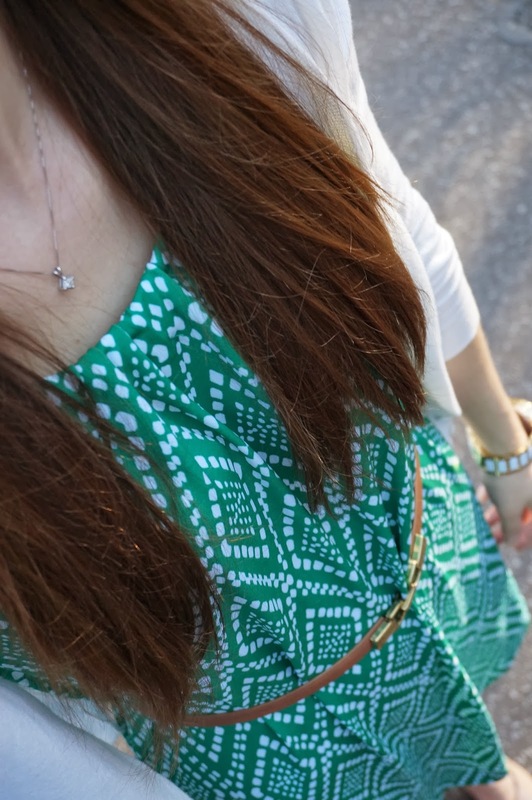 I have a huge thing for sundresses and spring colors. Pop a cardigan over a sleeveless dress and you have a comfy, stylish outfit for just about anything! Great belt, the buckle is fabulous!